Pinterest can be a major source of traffic for your blog. But you absolutely must set it up correctly. And a big part of this is using keywords on Pinterest. 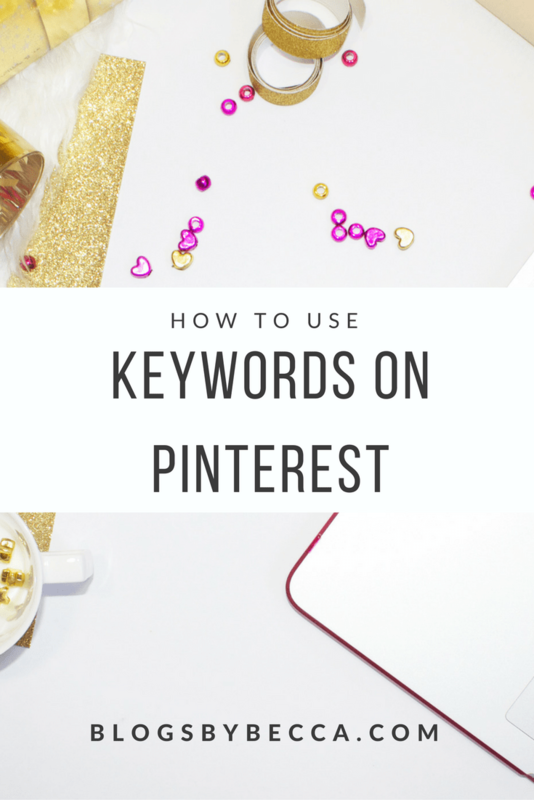 Using keywords on Pinterest is crucial because Pinterest essentially acts like a search engine, and it uses keywords in order to find your pins and show them to other people. It's how your pins get out there into the world. Using keywords on Pinterest can be total make or break for your Pinterest success. But never fear. I'm here with a guide to get your keyword action going! 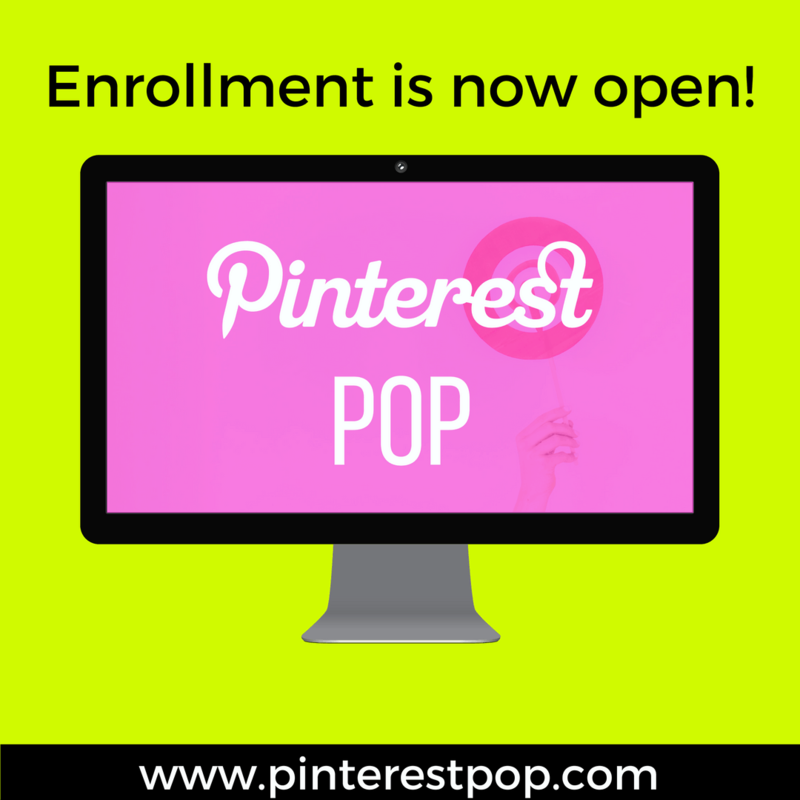 And if you're looking for even more Pinterest knowledge, I've got you covered in Pinterest Pop! Check it out right now! You may be asking where to find these magical keywords. Two ways. First, just use common sense. Obviously for me, things like “blog, blogging, social media, SEO, Pinterest, Instagram…” are all going to be keywords. Yours will, of course, be totally different depending on your niche. But some are obvious. But beyond that, Pinterest itself has a great way for you to find keywords. Just go to the search bar at the top of the screen, and type in one of your big keywords. Pinterest will then come up with a whole list of other suggested words for you. These are words that other people are commonly searching along with your word. Voila, keywords! The first place you should think about using keywords is your profile name and description. Yes, even your name can have keywords in it! My “name” on Pinterest is “Blogs by Becca | Blog + Biz for Beginners.” “Blog,” “Biz,” and “Beginners” are all keywords for me. Aside from your name, you also want to get some keywords into your profile description. Mine says: “Helping beginners become bloggers. Blog, social media, and biz tips and ideas for beginner bloggers. Free Blog Bootcamp: blogsbybecca.com/free.” The bold words are all keywords for me. It's still in plain English, but I managed to fit a lot of keywords in there. I want someone searching for something like “beginner blogger” to have my profile pop up. That's the whole point. As an aside, make sure that you are using the “Alt Text” field to enter your pin descriptions when you insert the image into your blog post. This ensures that that image will have that exact description every time it gets pinned by anyone, not just you. You want other people pinning it to be using your awesome description too, right? So that, my friends, is why you need to be using keywords on Pinterest. And that's how to do it. It'll take you a little more time, but it'll be highly worth it when people can find, repin, and click your pins! Happy pinning! If you're still looking for Pinterest help, I've got you covered. I cover keywords and a whoooole lot more over in Pinterest Pop. Check it out!